6 month access. Unlimited Classes. Contract Period for 6-month membership: Payment of $99 will auto-charge each month to the credit card on file. Please note, the initial time commitment for the 6-month membership is 4 months, after which you may cancel at anytime. If you do not cancel after the first 4 months the automatic payments will continue to be deducted until you ask for the membership to be canceled. If you would like to cancel after your initial 4 months, cancellation notice is required 2 weeks before your next monthly payment. You may provide this notice by emailing hello@aumbase.com. Please note: Memberships will not be canceled and refunds will not be given during the initial 4-month period. 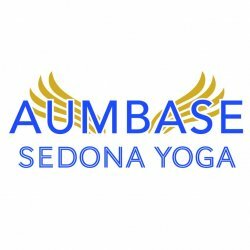 For example, if you are scheduled to be charged July 1st and you want to cancel for the month of July, you must submit an email to hello@aumbase.com by June 15th to avoid being charged on July 1st. Refunds will not be given if you decide to cancel after a payment has been already been deducted. 6-month Memberships cannot be suspended/placed on hold. There is no refund for unused time on memberships, and there are no extensions. Once a student signs up it is their responsibility to use the membership to their satisfaction.